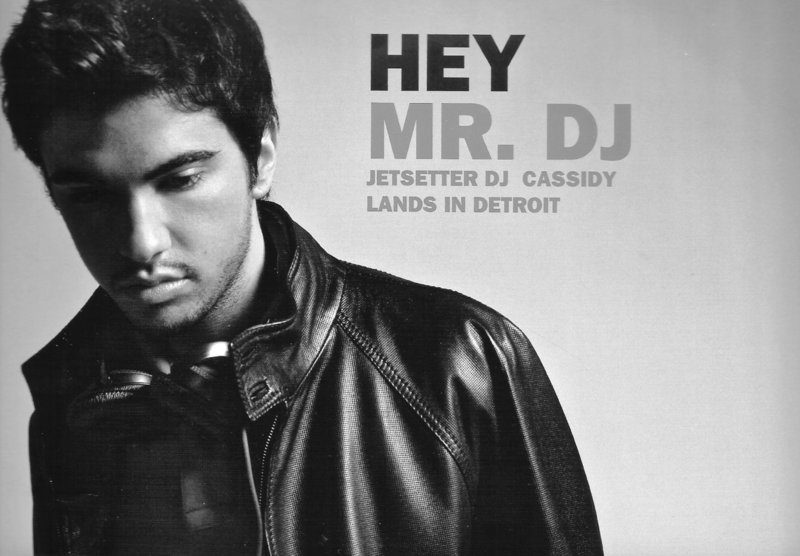 DJ Cassidy has been to Detroit a few times. “But for the life of me, I can’t remember what for,” he said, a bit embarrassed as we began our phone interview. But it doesn’t really matter. This 25-year-old DJ, born and raised in NYC, is a Motown Man. In fact, he got his first big break at 18 from Sean ‘P Diddy’ Combs when he stunned the famed producer by spinning old soul classics from Stevie Wonder and Marvin Gaye. “Puffy danced until 5:30 in the morning … and as he was walking out, he said, ‘Where’s the DJ?’ And I said, ‘I’m the DJ.’ He couldn’t believe it.” Eventually, Cassidy convinced him. A week later, he was deejaying Combs’ party for the VMA awards, and he has played every one since. The young DJ has also rung in the New Year with Oprah in South Africa; was requested by Jennifer Lopez to spin at her 2001 wedding to Chris Judd; is flown all over the world by Naomi Cambpell for her birthday extravaganzas; and is frequently commissioned by rap mastermind Jay-Z to spin at his parties. In November, the jetsetting DJ will spin at the Detroit Institute of Arts gala. He’s excited to come into town, and promised to remember it this time. He also hopes to hit up the Motown Museum. “That’s one thing I haven’t done yet,” he said. Growing up in New York, did you draw inspiration from the city? You obviously still spin in the clubs, but you recently started moving into the studio as well. I saw the YouTube videos of your most recent birthday party. Not only did it seem like every celebrity in Hollywood was there, you also had Naughty by Nature and Big Daddy Kane perform. What was that like? What did you think is the x-factor that makes you succeed?